GAIN Capital Holdings (NYSE:GCAP) has released its third-quarter results ending September 30, 2014, which illustrated an explosion of net revenues, coming in at a record $102.8 million or 69% growth YoY. 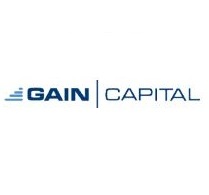 Earlier today, GAIN Capital Holdings (NYSE:GCAP) announced its acquisition of City Index for $118 million. The deal will help combine the two firms, bridging FX, spread betting and CFD services. These figures follow after GAIN Capital Holdings (NYSE:GCAP) reported a slight -5% loss of revenue during Q2, yielding only $69.7. By this measure, Q3 figures were far more upbeat, establishing a record $102.8 million, compared to just $60.8 million in Q3 2013. In addition, adjusted EBITDA Q3 2014 yielded $26.6 million, which corresponds to a YoY increase of 120% from $12.1 million in Q3 2013. Net income came in at $14.7 million, or $0.32 per diluted share, up 163% from $5.6 million, or $0.14 per diluted share a year earlier. Finally, cash earnings per share also underwent triple digit growth, swelling 124% YoY. GAIN Capital Holdings (NYSE:GCAP) is slated to review its full Q3 results in full on Thursday, November 6, 2014, during a scheduled conference call at 8:00AM EST. Volumes at GAIN Capital Holdings have been growing steadily in the third-quarter of 2014, with the fourth quarter unlikely to be underperforming after the Bank of Japan unleashed another round of its quantitative and qualitative easing policy today, underpinning Japanese yen volatility. Blimey. These Gain guys are buying up the retail market one struggling buckaroo at a time and pushing on the insto front via GFX as well. If you bet on multiple horses you are more likely to win the race.